The advert makes good on its proclamation of “the car for our time” as the i30 moves seamlessly through a series of minimalist light installments. Each stylised installation perfectly reflects the design of the cars latest incarnation; minimal, stylish, modern and above all functional. As it continues to drive, the lights seem to dance off the car’s sleek and modern exterior and we are introduced to the ever important infotainment and connectivity available at the touch of a screen. The advert climaxes as the Hyundai i30’s intelligent safety system is put to the test and passes in spectacular fashion. For the project Tracks & Fields chose the formidable production of Colorado natives Big Gigantic and their song ‘Get On Up’. The track announces itself with a glitched-out crescendo before big band Saxophones and fuzzy synth-bass cut through and takeover. The licensed music exudes confidence, imbuing the viewer while reinforcing the sentiment of self confidence one would feel driving the modern and technologically savvy Hyundai i30. 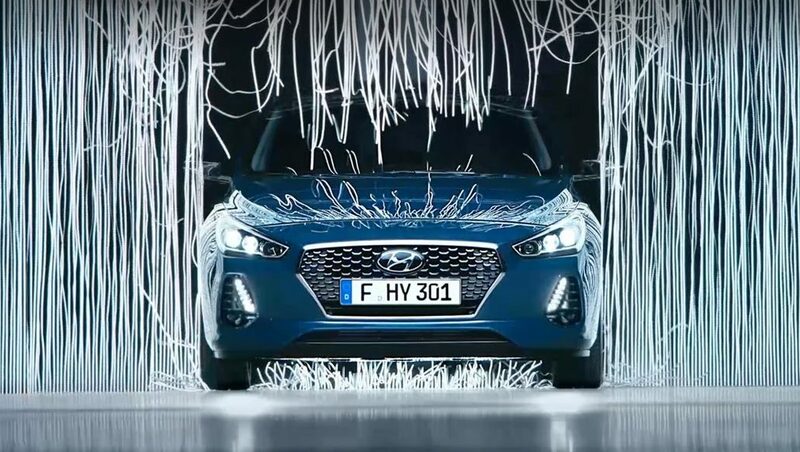 The new Hyundai i30 advertisement is being broadcast Europe-wide now.